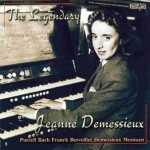 Jeanne Demessieux (1921-1968) began studying piano with her older sister, Yolande, before entering the Montpellier Conservatoire in 1928. In 1933, she entered the Paris Conservatoire, studying piano with Simon Riera and Magda Tagliaferro, harmony with Jean Gallon, counterpoint and fugue with Noël Gallon, and composition with Henri Büsser. 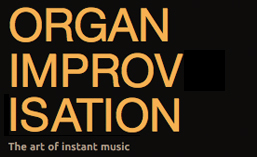 She studied organ privately with Marcel Dupré before entering his organ and improvisation classes at the conservatory in 1939. After earning her first prizes, she continued private lessons until her concert debut at the Salle Pleyel in 1946. She served as organist at Saint-Esprit in the 12th arondissement from 1933 until her appointment as titular organist at La Madeleine in 1962. 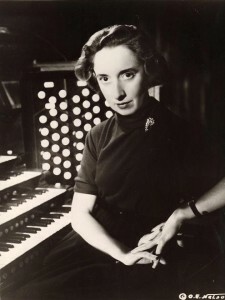 She taught organ at the Nancy Conservatoire (1950-1952) and the Conservatoire Royal in Liège (1952–68). She wrote over 30 compositions and made several recordings, including the complete works of César Franck. Posted in Organist. Tagged César Franck, French, Jeanne Demessieux, La Madeleine, Liège, Marcel Dupre, Montpellier, Nancy, Paris. In 2004, Johann Vexo was granted the position of substitute organist for the Choir Organ of the Cathedral of Notre-Dame de Paris. 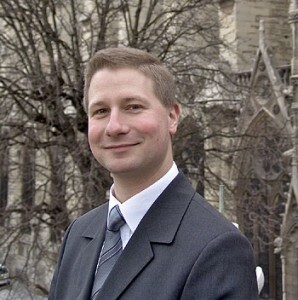 Since 2009, he is also organist of the Cathedral of Nancy. Posted in Organist. Tagged Cathedral, French, Johann Vexo, Nancy, Notre Dame, Paris.